The fifth book in Laura Ingalls Wilder’s treasured Little House series, and the recipient of a Newbery Honor—now available as an ebook! This digital version features Garth Williams’s classic illustrations, which appear in vibrant full color on a full-color device and in rich black-and-white on all other devices. Laura Ingalls and her family move from the banks of Plum Creek to the wilderness of the unsettled Dakota Territory. Here Pa works on the new railroad until he finds a homestead claim that is perfect for their new home. Laura takes her first train ride as she, her sisters, and Ma come out to live with Pa on the shores of Silver Lake. After a lonely winter in the surveyors' house, Pa puts up the first building in what will soon be a brand-new town on the beautiful shores of Silver Lake. The Ingalls's covered-wagon travels are finally over. 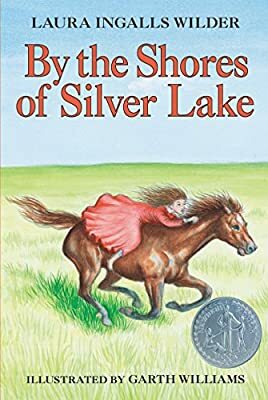 The nine Little House books are inspired by Laura’s own childhood and have been cherished by generations of readers as both a unique glimpse into America’s frontier history and as heartwarming, unforgettable stories.